The following is a copy of an article written by my sister and posted on http://www.deeper meditation.net. I hope this will help you deal with the stress we incur everyday. 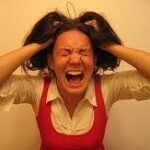 How often do you exclaim, â€œIâ€™m so stressed out!â€? 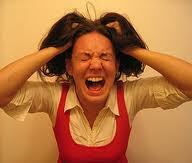 Stress is a commonality that is all too familiar but often overlooked as a serious symptom of disease. The reality is that stress is the #1 risk factor for disease. With studies showing that stress leads to obesity, heart disease, depression, anxiety, hypothyroidism, immune deficiency, etc., why is it that we are still so stressed out? I believe it is that we are not taught as children how to handle stress properly. We learn to mimic our parentsâ€™ behavior, which was not always a healthy choice! Instead of realizing that stress is something that happens inside a person, we see it as an attack against our homeostasis and defend it at all costs. Stress typically arises because of our beliefs about how things â€˜should beâ€™ and not necessarily the situation at hand, and often it is self-inflicted. In my 16 years experience as a Massage Therapist, I have found that most of my clients come to me because they are internalizing their stress. Instead of letting it out, they hold it in and that energy transmutes into a physical pain or disease. Massage is a great way to release it from the body because the pressure receptors in the skin convey a message back to the brain to release the energy and send out endorphins to relieve the pain. However, we should not always rely on someone else to relieve our stress. If we never learn how to adequately handle stress so that it doesn’t get trapped in our bodies, stress will never go away. It just gets transmuted into something more difficult to deal with that we find no way of escaping, such as a debilitating disease. 1. Do you create deadlines for yourself, like having company over so the house must be clean by a certain time? 2. Do you worry about what people will think before you act or speak? 3. Do you volunteer for things even though you really donâ€™t have the time? 5. Do you allow others to control your time because you are too â€˜niceâ€™? For example, getting trapped in conversation you really donâ€™t have time for. 6. Do you get enough rest, eat right and exercise as you should? The primary way to adequately handle stress is to begin to make time for YOU. Realize that without your health there will be none of â€˜youâ€™ to go around. Stop taking on extra projects or putting pressure on yourself. You will be AMAZED how the universe will open up opportunities for you to take care of yourself when you make the decision to do so. 2. Crying is a great vehicle for relieving stress. It doesnâ€™t mean you are weak! 3. Deep Breathing works by carrying oxygen to the cells so they can detoxify. 4. Exercise/Stretching is necessary to release the tension and pain in the muscles. 5. Meditation is a great way to clear and relax the mind. It just takes some practice. 6. Visualizations are a handy tool for handling stress. They can range from comedic skits about the situation to visions of paradise on a tropical island. Either way, they are great at tricking the mind into believing whatever you want. 7. Hot water baths are awesome for loosening muscles and granting â€œMe-Time”. 8. Realizing your limitations is a tough one, but a little humility goes a long way. 9. And, of course, plain old Laughter is and always will be the best medicine for handling stress! Finally, I have found the use of pure essential oil aromatherapy to be a very effective means of handling stress. These oils work on the body and mind at the same time and can be used for numerous maladies related to stress. These include depression, anxiety, impatience, IBS, allergies, headaches, physical pain, nausea, fatigue, insomnia, low immune system and the list goes on.Essential oils work so well because the sense of smell connects with memory centers in the brain, wherein the memory evokes a physical response. Over the past decade I have developed a line of scents to balance the body based on ancient Chinese and Ayurvedic principles. My blends work to balance the mood by affecting the elements in the body. For example, if you have too much â€œFireâ€ you will need a water, earth or wood scent to calm you down. If you are a thinker, you are too â€œMetalâ€ and will need a fire, water or wood scent to open your heart. Your scent needs will vary daily as your mood changes. I find it helpful to keep your favorite scents on hand so you will always be balanced. The ulterior benefit to using these blends is that they will also boost your immune system! The scent you wear may also work on those close to you so they will also be balanced. Next time youâ€™re stressed, mist some â€œHappyâ€ in the air and watch what happens! Whatever you choose to do, the thing to remember is to find balance. Too much of one thing really is too much. Balance is the key to a stress-less life! When dining out, you always remember the best and the worst places you visit. The Sand Bar unfortunately falls under the latter of those two. The Sand Bar overlooks a the Brielle Yacht Club Marina and if you are seated outside you can keep yourself busy people watching which might make you more forgiving of the less than average dishes served here. On a recommendation by a friend, we made reservations for a Friday evening with hopes of enjoying the beautiful weather and a fresh fish dinner. The weather part worked out great but the fish half of the equation fell short of making the eveningÂ one we would like to remember. Both dishes, the Grilled Mahi with Pineapple Salsa( dinner special) and my Tuna Rockford (regular menu item) were overcooked and flavorless. The Mahi was especially disappointing because the salsa was so plain and lacking in freshness. It was almost as dry as the fish itself which if juicier, it could have provided necessary moisture for the Mahi. Adding some lime juice, tomatoes, fresh cilantro and maybe a little heat from jalapenos would kick the flavor up to where it could have made a difference, even with the overcooked fish. My Tuna, which was also grilled, is served with a mixture of sun dried tomatoes, asparagus,spinach and topped with Hollandaise sauce. I asked out of the added Hollandaise as I do not care for that particular sauce. The tuna, although pink inside, was dry and overcooked and the vegetables accompanying them did little to save the dish. Being that both dishes needed help we asked the waitress if she could provide us with dressings that we could lace over top of the fish in hopes of saving the meal. The manager, Scott, approached us to ask if there was anything he could do to make the meal better. At this point we were not going to wait to have another dish cooked, and the fact that the dishes were so poorly dressed, we felt that we would just move on. We did feel that Scott could have offered to buy our drinks or dessert to help make the experience easier to accept. It’s a shame that we had such a bad dinner because the Sand Bar’s open, airy and casual atmposhpere provides a nice environment to dine in. We sat upstairs where reservations are accepted, but you can dine downstairs where there is open seating and a bar. One last item that needs to be pointed out is the area where the hostess greets you. On this particular evening there were two young women at the door greeting and seating patrons upon arrival. As we were making our way back down the stairs to the exit, one of the girls was sorting silverware and napkins while sitting on the stairway. Not exactly how I would like to see my fork and knife being handled after it has been through a sterilizing wash. It seems that management is not on top of their game if this is the norm for handling issues and staff.